Now more than ever, shoppers expect a seamless checkout experience that rivals the convenience of online shopping. Aila and Teamwork Retail have partnered to deliver a powerful point-of-sale solution for in-store payments. Teamwork’s iOS-based POS software with Aila’s Mobile Imager for iPod and iPad-based Interactive Kiosk combine retail-ready design, rich functionality, and effortless scanning to ease friction at checkout, while opening up exciting opportunities to deploy innovative in-store workflows. Aila’s platform of fixed and mobile devices, with Teamwork’s mPOS app, gives retailers a turnkey, cloud-based system for the point of sale. Associates can quickly scan large carts or bulk items, or bust lines with Aila’s sleek, durable Mobile Imager. Items can also be scanned directly into the Interactive Kiosk, which also has Aila’s proprietary TrueScan technology, as well as an array of retail-ready mounting options and seamless compatibility with payment terminals, printers, and other peripheral devices. 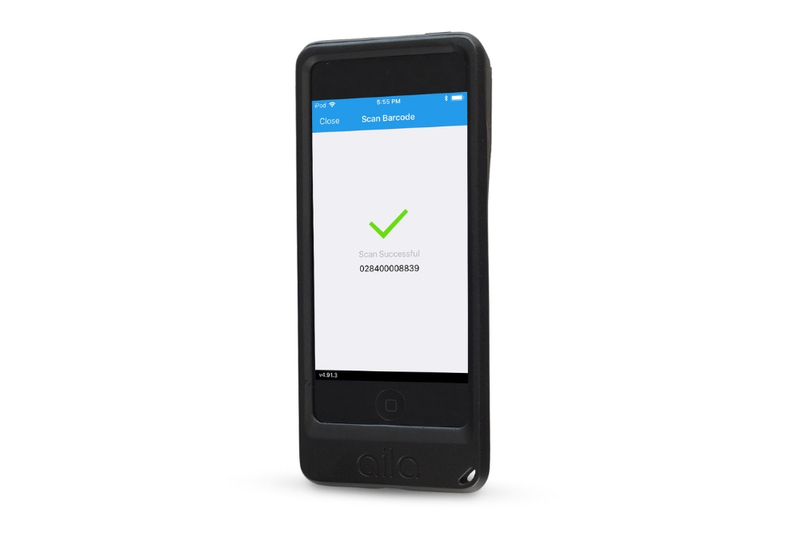 Associates or customers can scan product barcodes with Aila’s Mobile Imager, building a cart on the device. When all items are scanned, a touch of a button converts the cart to a QR code. 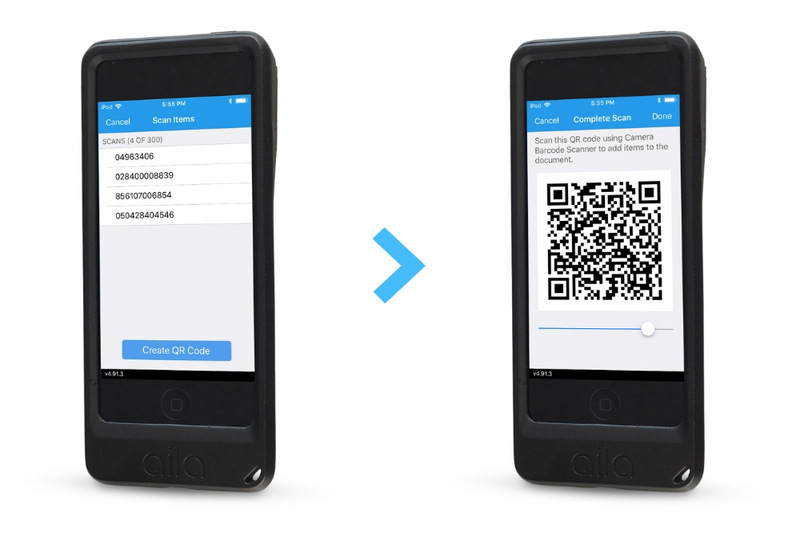 Scanning the QR code into the Interactive Kiosk transfers the entire cart—instantly and securely—for payment processing. Whether used by staff or in customer-facing scan-and-go workflows, this eliminates the bottleneck caused by capturing each item’s barcode only at the end of the checkout line. 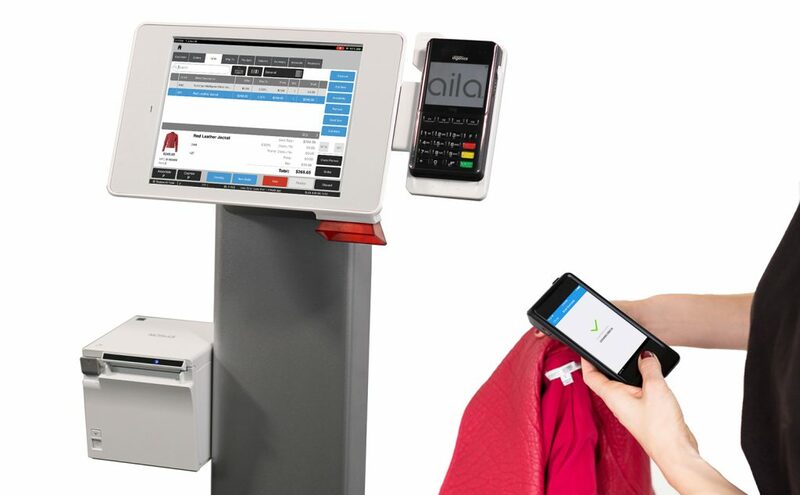 With WiFi-pairing between the Mobile Imager and Aila’s Interactive Kiosk, retailers can instantaneously transfer scanned 1D/2D barcodes from the mobile device to the fixed device. Eliminate legacy POS systems that rely on bulky, outdated hardware. With features like a red-dot aimer, white light illumination, and dual side triggers in a lightweight ergonomic design, Aila’s Mobile Imager is a superior option to traditional dedicated wireless barcode scanners. Further, the Mobile Imager is built with enterprise-grade durability—exceeding MIL STD 810G drop test standard. Retail-ready design. Intuitive UI and sleek, iOS-based hardware elevate the in-store experience and aesthetic. Effortless scanning. Powered by Aila’s TrueScan technology, Aila devices provide flawless, effortless scanning of all major 1D/2D symbologies. Small Footprint. Rapid deployment is made possible without in-store servers via a cloud-based computing architecture. Works Offline. Teamwork Retail apps are built for environmental durability—no data is lost from a dropped connection.